Purpose built for this Irish Sea route, the Stena Lagan was fully refurbished in early 2012 to complete its transfer into the Stena Line fleet having previously operated under the Norse Merchant, Norfolkline and DFDS Seaways brands. Now a bright spacious and modern vessel, the Stena Lagan allows you to travel in comfort with all the onboard facilities at hand to make your journey as relaxing and fun as possible. 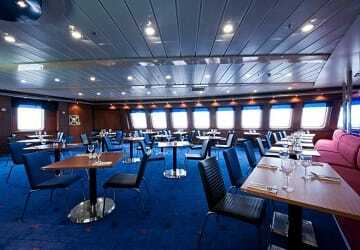 Onboard you’ll find a choice of lounge areas, a restaurant, bar, coffee house, cinema, children’s play area, Pod area with IMacs, en-suite cabins, shops, free Wi-Fi and more! 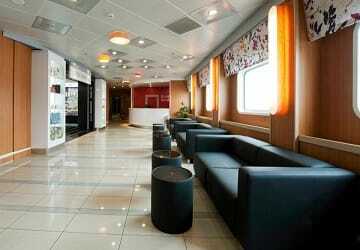 The Stena Lagan features a selection of 4 Berth cabins available in a choice of inside or sea view (outside). All cabins are en-suite. A snack menu is available in the Barista Coffee House including a variety of coffees and speciality teas and tasty hot or cold snacks. 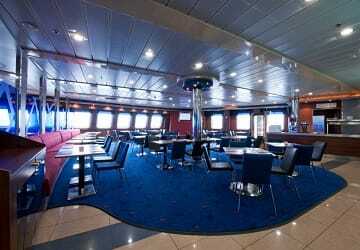 In the Metropolitan bar and grill there is a full menu available on both day and evening sailings with a selection of vegetarian options and kids meals available too. 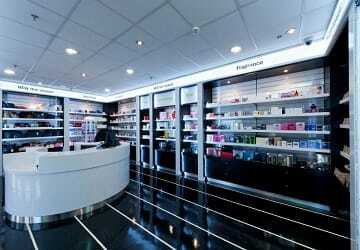 There is a wide selection of goods available in the onboard shop from perfumes and aftershaves to confectionary and souvenirs. The Stena Lagan also features an onboard cinema to keep you occupied throughout the journey as well as a 'Pod' Lounge with iMacs and free Wi-Fi. Young passengers will be spoilt for choice in the Stena Lagan children’s play area (for children under the age of 10) complete with numbered block games, mouse hole maze, slung net bridge, crazy mirrors and a squeezer chicane. 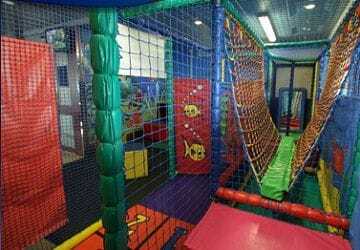 The children's play area is always open however children must be supervised by an adult. Baby changing facilities are available beside the Children’s Play Area. All areas on the Passenger Deck (Deck 5) are accessible to customers with disabilities. A lift operates between the Main Deck and Passenger Deck. Please Note: Whilst we have taken great care in making our Stena Lagan guide as accurate as possible, onboard facilities, services and entertainment may vary depending on the date and time of year that you travel, facilities mentioned may change without notification and ferry companies reserve the right to operate vessels other than those mentioned at time of booking without prior notification. Great service and the bedding in the cabins was absolutely spotless clean! Our trip on the Stena Lagan was very comfortable, the assigned cabin was spacious and clean, there was a bunk bed and bathroom and a television. The free wifi has emails, Facebook etc all blocked and what is available is so slow it is useless. My sons were very unhappy! The complimentary fruit bowl in our cabin was 2 cheap versions of fruit winders which were awful. The cups of tea in the cafe were overpriced but you could get a half price second cup with your receipt, the first cup was so awful we took one sip and left it. On the positive side our comfort room was very clean with comfortable beds and the restaurant food and service were very good. We had an overnight cabin one way and a cabin for our daytime return, without our cabin to relax in it would have been awful sitting in the cafe or restaurant for 8 hours as there is nothing to do (why people need wifi that works) and the chairs are not very comfortable for long periods of time. Thanks for the great journey! Your ferry was one of my favorite things about my vacation! I enjoyed every minute on board. We had food from the cafe. It was pretty good but I'm not sure how the restaurant was. Thanks again! Thank you Stena for a good service and comfort on my crossing to Belfast. 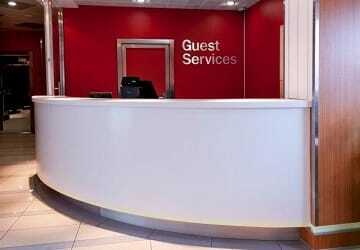 Your staff made me feel relaxed and your cabins was very clean and tidy and comfortable. Could not fault any part of our crossings, boarding, cabins, food, children's entertainment and staff all first class. Looking forward to doing same journey again - thank you for adding to the enjoyment of our holiday. "Liverpool to Belfast on Stena line"
Really great way to get to Northern Ireland. The staff are so polite and helpful. The food is fine and reasonably priced. The cabins are clean and the whole experience made us feel on holiday as soon as we boarded. "The best way by far by car to NI"
On the way out I sailed overnight. I had a great meal which was good value and can't say much about the rest of the trip as I slept through it in a very comfortable cabin. 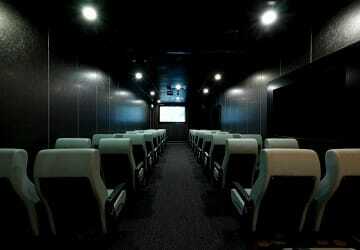 On the way back I booked the Stenna Plus lounge. Again excellent value offering comfort and relaxation in equal measure. I would not hesitate to book this crossing again. It was such a pleasant and easy way to travel, apart from getting lost in Liverpool lol. Had a cabin which was brilliant which I went straight into and watched TV. Very comfortable night sleep, had shower and drove off. Both ways perfect except for one blip on return journey where the seat was missing from the cabin. But otherwise no complaints at all. All fine. Had an ill child with us, purser very helpful. Food good and reasonably priced. Coffee excellent! 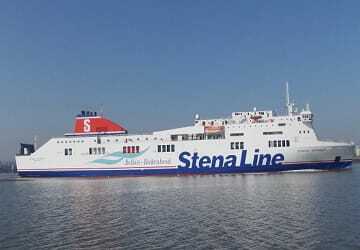 "My Experience with Stena line from Birkenhead to BelfaST"
"Helpful staff and crew. " I am a disabled traveller and walk with a crutch. I informed Stenna line of this when booking and they gave me priority a boarding pass which meant that I was able to park on board the ship next to the lift / escalator which makes my journey much easier and less stressful. I also reserved a cabin for the overnight crossing and was initially allocated one up some stairs but passenger services were very helpful and swapped the cabin for a more accessible one that avoided the need to use stairs even though the ship was full that particular night.